By Kimberly Furry on April 2, 2011 Visit Kimberly's Website. We all have been busy thinking and talking about the chickens. The girls checked out pictures online of various breeds. Ara loves Silkies, as do I. We saw them on one of our fall ventures to the Lands at Hillside Farms. Silkies have amazing temperaments, according to my readings. The drawback is that their eggs are very small. I’ve been mindful of what breeds I see doing well close to where we live, because they will do the best in our climate. When I started researching last year, I knew I wanted to go with a heritage breed because many are endangered and I’d like to do my part to keep them around. Our neighbor recommended the Delaware breed and explained, “Delaware’s are a heritage breed with many desirable characteristics: The hens lay nice brown eggs, the roosters are not aggressive, they are excellent foragers for bugs, they can roost in trees if need be, and the young roosters that you may not want to keep taste great.” All great reasons for us. I also learned researching online that they are critically endangered and at risk for extinction. Of utmost importance to us is having a breed that will be good with the kids. My first foray into the world of hendom as a child wasn’t what I’d hoped for. I was 8 or 9 years old. 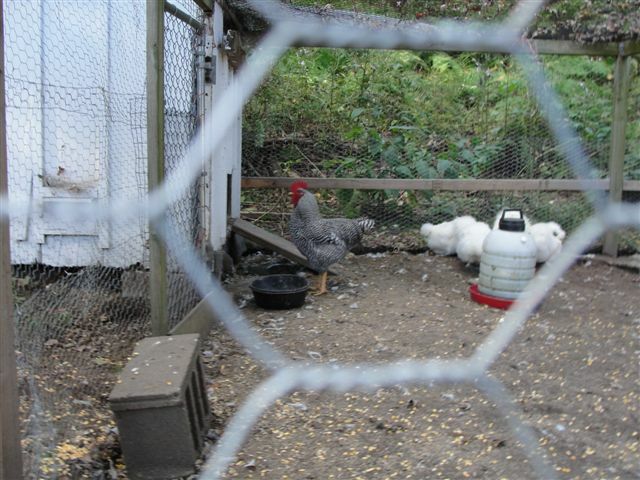 I can still clearly remember trying to help my childhood friend Molly move her hens to their new coop with her family. 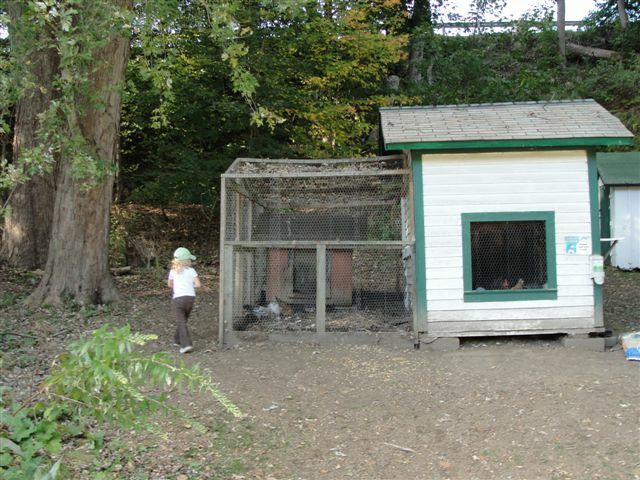 Those chickens squawked and flapped and clawed. After trying fruitlessly to move a hen, I backed away from the cloud of feathers and decided to just watch as others scooped them up with ease. It wasn’t a scarring experience. I did walk away thinking chickens weren’t very personable and very skittish. Another consideration is consumption. I love brown eggs and the Delawares lay large size brown eggs, perfect for cooking. I have seen an app from MOTHER EARTH NEWS. I finally relented and spent $2.99 for the MOTHER EARTH NEWS Pickin’ Chicken Breed Selector App and gave it a try on my iPhone. I have to say I liked it well and it was worth the money spent. It confirmed what my neighbor had told me about the Delaware breed and gave me photographs and more detailed information specific to the breed. Nine other breeds also met my requirements, and we may consider them down the road. So we are going to start with a few Delaware chickens this summer and will add to our flock the next year with a couple of Silkies.